Online Privacy Standards. While there are no official standards governing privacy practices on the Internet, thunderthepigmyelephant.com follows the principles supported by the Federal Trade Commission’s Fair Information Practices Principles, currently available at http://www.ftc.gov/reports/privacy3/fairinfo.htm. What This Policy Covers. This policy covers thunderthepigmyelephant.com’s treatment of personally identifiable information that we obtain when you visit our website at thunderthepigmyelephant.com. 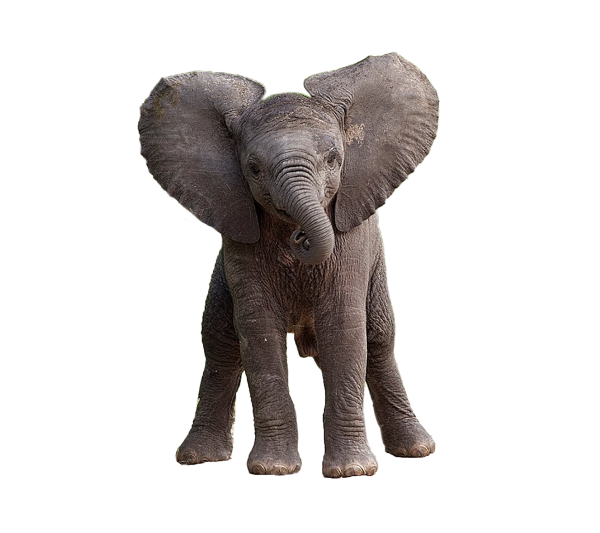 Thunderthepigmyelephant.com regards personally identifiable information as information that someone can use to identify or contact you in person. Access To Your Personal Information. In general, thunderthepigmyelephant.com makes it easy for you to view the personally identifiable information thunderthepigmyelephant.com may collect from you, where you can add, edit or delete it as you see fit. Log Files. Similar to many websites, thunderthepigmyelephant.com gathers certain anonymous, non-personal information automatically and store it in web server log files. This information includes Internet protocol addresses, browser type, Internet service provider (ISP), site entry/exit pages, operating system, date/time stamp and clickstream data. ArkwatchFoundation.org uses this information to improve our site, analyze trends, administer the site, track users’ movements around the site and gather aggregate information about our user base as a whole. Aggregate information is data thunderthepigmyelephant.com collects about a group or category of services or users from which individual member identities have been removed, and therefore does not include your personally identifiable information. Cookies. A cookie is a small text file that is stored on a user’s computer for record-keeping purposes. It can also help us understand how ArkwatchFoundation.org site visitors click to our site, and what pages they view during their visit. Similar to many websites, ArkwatchFoundation.org stores an encrypted cookie on your computer so ArkwatchFoundation.org can remember you when you come back to the thunderthepigmyelephant.com website without requiring you to log in every time. Cookies also allow thunderthepigmyelephant.com to track and understand the interests of our users to enhance the overall experience on our site. You can set your web browser software to disable cookies. To do so, please refer to the help section of your specific browser for more information on how to manage or disable cookies. If you disable cookies, you may still view our site, but some areas of the thunderthepigmyelephant.com site may not work properly. In order to improve the experience for our users, thunderthepigmyelephant.com may offer you the ability to sign up for optional email communications, such as updates from thunderthepigmyelephant.com, periodic newsletters or invitations to events. These communications are enhancements to the thunderthepigmyelephant.com service and are entirely optional. Thunderthepigmyelephant.com will ask for your consent before sending you promotional communications and will make it easy for you to unsubscribe from these communications. Identification Of Authors. The thunderthepigmyelephant.com website may offer opportunities for users to comment on content found on the thunderthepigmyelephant.com website, engage in dialogue, share information and may allow you to submit original content. This means that to some extent, thunderthepigmyelephant.com depends on the contributions and actions of our users to improve the quality of the site experience. When you make a contribution to the site (such as posting a comment), you will be identified by whatever social network or social sharing profile you provide, if using a feature offered by a third party website, or you can elect to remain anonymous. Site Statistics. As noted above, thunderthepigmyelephant.com may use information collected from our web log files to calculate and publish anonymous, non-personal, aggregate statistics that we believe our users are interested in viewing. For example, thunderthepigmyelephant.com may track and publish the total number of users who have viewed a particular web page. Thunderthepigmyelephant.com may publish this data in aggregate form only and will not tie it to any personally identifiable information. Public Messages. Some of our features may allow you to communicate with other users by posting public messages (such as when you make comments on a blog post or respond to comments about an article). Please be aware that what you write in these public messages can be viewed, collected or used by anyone who visits our website. Thunderthepigmyelephant.com is not responsible for any personally identifiable information that you submit or permit others to submit through public messages. Linked Services. In some cases, thunderthepigmyelephant.com allows you to access or link to other web services through our website. Thunderthepigmyelephant.com makes it easy for you to determine when you are accessing or linking to these other web services through or website. In all of these cases, these third party websites may choose to collect your personal information as they deem appropriate. As noted above, thunderthepigmyelephant is not responsible for or in control of how these sites collect, use or disclose your information obtained through these linked services. Thunderthepigmyelephant.com encourages you to be aware when you are using these services and, for your best online experience, thunderthepigmyelephant.com encourages you to review their policies before submitting any personal information to them. Legal Requirements. Thunderthepigmyelephant.com reserves the right to disclose your personally identifiable information as required by law and when thunderthepigmyelephant.com believes that disclosure is necessary to protect our rights and/or to comply with a judicial proceeding, court order or legal process served on our website. Network Security. Thunderthepigmyelephant.com has implemented a variety of commercially standard encryption and security technologies and procedures to protect information, including your personal information, stored in our computer systems from unauthorized access. Please be aware that no method of transmission over the Internet, or method of electronic storage, is 100% secure, thus thunderthepigmyelephant.com strives to use commercially acceptable means to protect your personal information, but thunderthepigmyelephant.com cannot guarantee its absolute security. Management Procedures. Thunderthepigmyelelphant.com also maintains standard physical and electronic procedural safeguards that limit access to your personally identifiable information to our employees (or people working on our behalf and under confidentiality agreements) who, through the course of standard business activities, need to access your personally identifiable information.